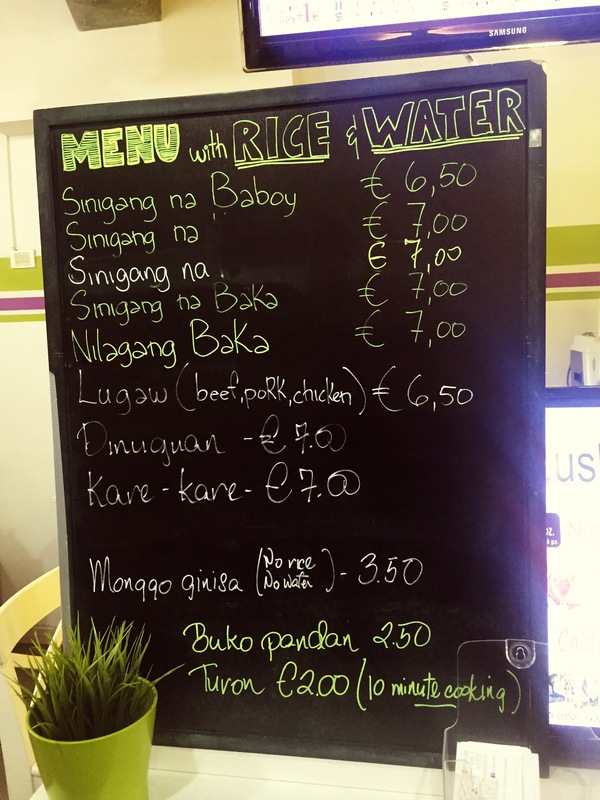 After over a week in Europe, in spite of all the great food, I was really looking for Filipino dishes! 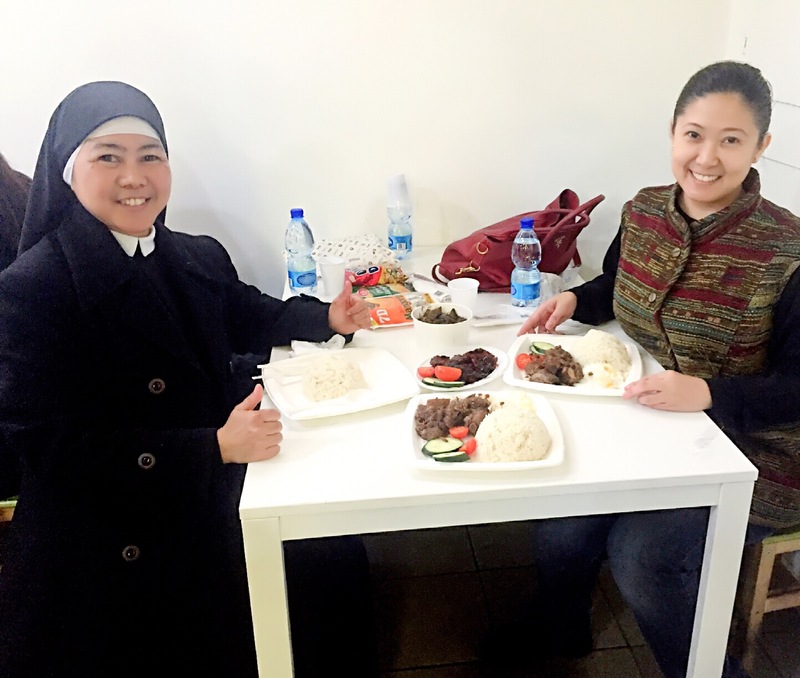 So I was delighted when my friend Mother Superior Regina Ate brought me to Sarap at the Vatican. It is conveniently located just a couple of blocks from St. Peter’s Square. So after hearing mass with the Pope or sightseeing, you can head over here for your fill of RICE! 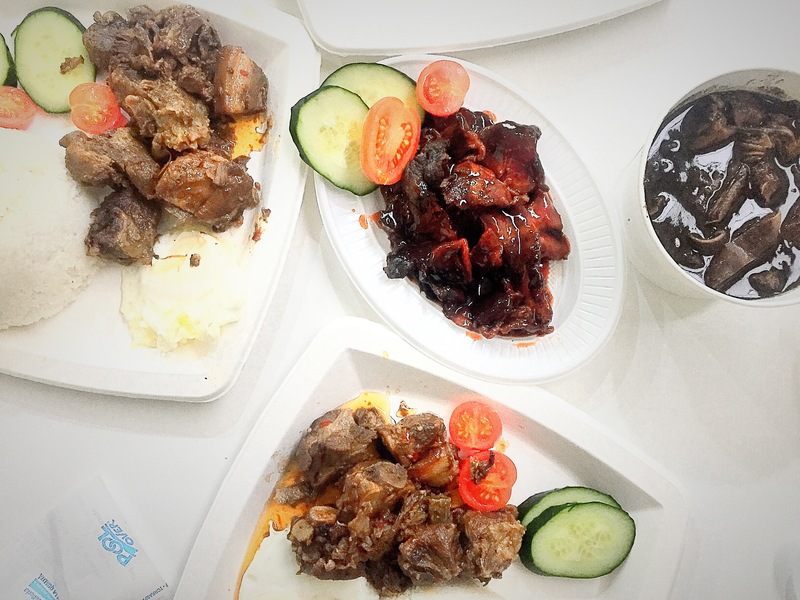 Was so happy to find classic Pinoy dishes like adobo – though it is all pork here, no chicken – and sinigang. They also offer pancit! But my fave on the menu was the dinuguan. Was jumping for joy, haha. Here’s the full menu. 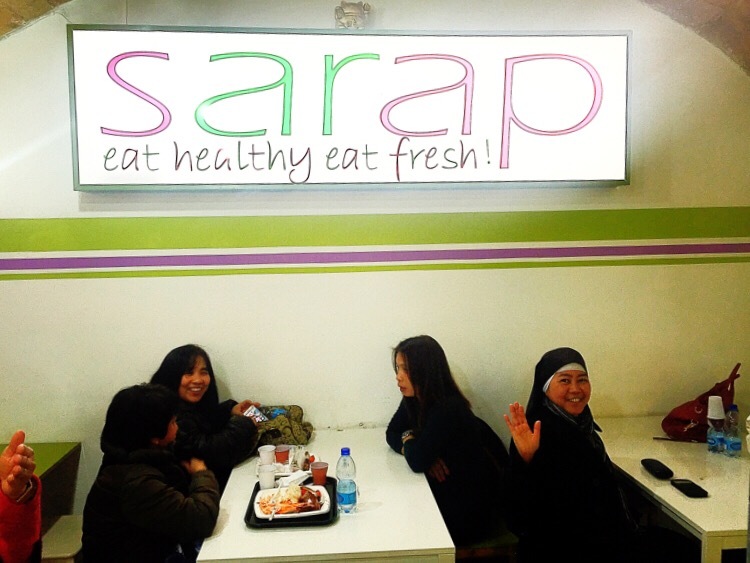 Interestingly, the guy at the cashier is NOT Filipino but the rest of the staff are. Plus they have a pretty decent loo! With Mother Superior Regina Ate who guided me as I visited the Holy Doors.